Translated, edited and updated from the French edition of 1988: "Les apparitions de DAMAS --- Christian Ravaz" with permission from the author, by «Association Notre-Dame-de-Soufanieh à Montréal» (September 1997). First English edition, September 1997. Published by: The Messengers of Our Lady of Soufanieh. No part of this publication may be reproduced, transmitted, transcribed, stored in a retrieval system or translated into any language in any form by any means without the prior written consent of "The Messengers of Our Lady of Soufanieh". This book is based on the written testimonies of Fathers Joseph Malouli and Elias Zahlaoui also from Myrna Nazzour's personal notes and on the investigation and interviews undertaken by the author himself in Damascus. It happened in the Orient. This is not a tale of "A thousand and one nights". It is an astonishing document, truly disconcerting. We are in Damascus (Syria), the city where Saul of Tarsus was about to persecute the first Christians, and when he arrived...as a Christian, overcome by Christ. It is an Arab city where Christians are many, scattered among various confessions, the differences and divergences of which emerged throughout history. One finds in it all the contrasts of the Middle East, with deep Christian roots. Wise men and scientists, even theologians, may knit their brows. Oil? What for, what does it mean ? We have lost the sense of signs. The post-conciliar ritual (Vatican II) has suppressed the anointing of oil to the catechumens, symbol of the combat which characterizes Christian life. This unction, similar to the one applied on wrestlers, who, thanks to it, have escaped the holds of the adversary, is today optional and generally omitted. But one has kept the "Holy Chrism", oil that anoints the priests, bishops, and every baptized, every confirmed, as a sign that all Christians participate to Christ's fellowship. Oil is a Christian language. -Doctor, you would not have some ointment... was what I heard from someone sick consulting in a hurry my brother who is a physician. -That would not be of any help. -It is excellent! he would say to him, so as to put him in a good state of mind... before his entrance into a clinic. - But this oil from Damascus surely it does not come from Heaven! one may object? That is what the police thought, when they disassembled and damaged the picture, probed the walls of the house, without finding anything suspicious. Similarly, physicians have pursued their investigation without finding any explanations, as one will read later. A few days before the oozing of the icon, oil had oozed unexpectedly from Myrna's hands. The analysis of the oil revealed it to be olive oil, and the physicians who attended several times the phenomenon are puzzled, because they attest that the human body cannot produce olive oil. The unction of this oil on patients, has provoked healings that physicians have met with astonishment. Our reason is disturbed and protests against such healing phenomena. Myrna lives the event simply in her daily life which is sometimes interrupted and disturbed by the phenomena. Would she have received the grace to also become an icon of the Virgin? Are we not all called to resemble God's image, Christ's image, or His Immaculate Mother's image? From this point of view, everything seems simple for her. The Virgin Mary has appeared to her and messages were given to her, messages that we will also read in this book. She has lived Christ's stigmata, and received the vocation to share Christ's Cross. She would have preferred glory than the Cross, but she has accepted the Cross, out of love for the Lord. This doesn't stop her from being a charming woman and a tender mother towards her children. - I have not come to separate! Your married life will remain as it is. The crowd comes to pray at Myrna's and Nicolas' home. These people bring with them the sick. They invade their house. The Nazzours make themselves available. Doctor Antoine Mansour, one of the physicians of the former American president, Ronald Reagan, who had investigated the phenomenon, has invited them to come to the United States of America in 1990. But who is Christian Ravaz, the author of this book? Why did he go to Damascus to inquire about this unusual phenomenon ? Christian Ravaz has always been searching in the direction of the God of Abraham, revealed in Jesus Christ, towards God's proximity. He has always sensed Him, even during the crossing of the post-conciliar desert. Our transcendent God is close and intimate. He made man to His Image. He incarnated himself because of love beyond reason. To our human weakness, He gives us signs. It is not forbidden for God to make miracles in this place. Christian Ravaz is not a sentimental. He had chosen a scientific career and lucrative one in the field of data processing. One could discern in him, besides his technical talents, his ability for trade. Under 30 years of age, he already held a good position in the commercial field of data processing. He was very wealthy, had a sports car and could afford anything. Why has this generous man, happy in his career, at 33 years of age, felt the emptiness of this full life? Why did he take the risk to leave everything? He doesn't like to be asked about it. He says that he doesn't know why himself. Without a doubt, because his heart (in the biblical and divine sense of the word) may have reasons which "reason" doesn't know. In 1976, he left this enviable and successful life to establish new Christian communities in Lyon (France) then to help a group of gifted teenagers aged between 9 and 14 years, surmount the test of their talents and find God. In 1986, he founded a monthly religious magazine "Chrétiens Magazine"(2), filling a yet unfulfilled need: for those who are seeking -as he is- the proximity of God's intimacy: young adults, people tired of too many escapes, of too much drifting; humble believers who wish to meet God, not knowing how, and are on the look-out for signs that God continues to give, today, as always to help us through our human weakness. The Gospel invites us to decipher the signs of the times. And there are always signs at every period: sacraments first, but also these subtle familiar signs that God gives us in our daily routine. These signs are missed by those who don't have them. It helps Christians who know where to find them, Christian Ravaz knows it as I do. For my part, I had written my first book on Medjugorje just like any other book. I didn't feel the need for apparitions and a lot of readers of this book wrote to me, telling me how they had recovered their lost faith. Christian Ravaz knows as I do, that faith is not evidence, but rather darkness, that it is about believing God simply on His given word: "Blessed are those who have not seen and have believed" said Christ. He knows that it is necessary to develop the essence of faith, but without despising nor rejecting such small signs from Heaven, that God gives to every generous life because He understands very well our sensitive nature. Christian Ravaz had one more talent besides data processing and trade: the gift of journalism. His first articles were published when he was 15 years old. As a programmer, he liked information. He exercised it under all its aspects: radio, television, written press, initially as an amateur then as a professional. He likes making interviews and documentaries. When he heard about the apparitions of Kibeho (Rwanda), in 1984, he went there immediately, and that is how Europe learned about Kibeho. We could say that he sensed it. I would rather say, according to theology, that he knew how to exercise "sensus fidelium": the 6th sense of the faithful that, often, discerns apparitions before authorities do, restrained that they are, by prudence and reservation. The same intuition and the testimonies of Jean-Claude Darrigaud (priest and reporter to Antenna 2 - French TV station) and Elias Zahlaoui (vicar of Our Lady of Damascus parish) have attracted him towards Damascus. He jumped on it. And here is the result(3). Christian Ravaz acts quickly, thinks quickly, but always very concretely. He can sometimes drive you out of breath. He drags you in an adventure where you can feel totally uncomfortable or lost. As a good journalist he takes things as they come; and also as a good Christian, acknowledges his humility before God. Nothing led to think that Myrna, an eighteen year old young woman, married to Nicolas Nazzour for seven months at the beginning of the events, was going to be at the centre of an adventure that is beyond reason. -" Maybe you ate too much "labné" or macerated eggplants and oil has dripped on your hands? " Everyone in the household concluded that he could not have said it better! - Don't delude yourself Abouna (Father in Arabic), I am 18 years old, I got married seven months ago. All I know about prayers is the "Lord's prayer" and the "Hail Mary". I know how to make the sign of the Cross and sometimes go on Wednesdays to the confraternity of the Virgin with my mother-in-law at the Church of the Holy Cross to attend the service (...). Myrna spent her childhood and adolescence between Beirut (Lebanon) and Damascus at the rhythm of her family's travelling. She has two brothers and two sisters. Nothing special has marked her childhood or adolescence. She has a reserved character, although jovial, her face often brightens into a beautiful genuine smile. Her behavior is normal and balanced; no pathological shortcomings, explained to me a physician in Damascus; adding jokingly "she is hopelessly normal". Nicolas is her elder by about twenty years. Myrna's parents had opposed their marriage, because of the age difference but they gave up at their daughter's resoluteness who felt a "real admiration" for this young man, she said. Nicolas, when he met for the first time his future wife, said: "I liked her immediately." He never thought about marriage, taking advantage of the freedom of celibacy. An old priest who talked to me about this couple, at Soufanieh, evoking their age difference had the following reflection: "Hadn't the exegetes put forward the theory that Joseph was Mary's elder by 20 to 25 years?" Myrna and Nicolas have two children: a daughter called Myriam and a boy called Jean-Emmanuel. I attended Myriam's baptism, celebrated on July 15th, 1987, by Father Michel Farah, of the Greek-orthodox rite, one of the first witnesses of the Soufanieh phenomenon, and who answered the call to priesthood then. Myriam, of whom we will talk about later, is a gracious little girl, full of life, who distributes hugs and kisses to all with her little hands, as soon as she hears Jesus' name. Our young couple was not, at the very least, a "pillar of the Church." But they were sincere believers, the same as is most of our younger generation today. Let's review this problem for a minute. Only an obtuse mind can be unaware of the spur of pains of all kinds that we live today: despair, anguish, hate, violence and solitude. The international dramas that defray the chronicles, are only the tip of the iceberg while many personal dramas have become commonplace. Haven't we sufficiently experienced these "modernistic solutions" some of which are very generous, and which wipe themselves clean quickly and are inefficient in the short term? We say: "Outside Truth, there is no Salvation!" More than ever, that popular common saying imposes itself as "the only" solution. Few things invite our contemporaries to turn themselves towards God. Paradoxically, the seeking of the Truth is probably more intense than in the past, particularly with the younger generations. They largely disregard the Truth without seeing it, and get lost in the accommodating speeches of sects and in cheap and junky spiritualities. If they are not recruited by these harmful proselytes, they return to feel the solitude of temporary loves, the boredom of modernistic spectacles and the gloomy appeal of the ephemeral fashions. Does one offer them something else that is accessible? Would it be unreasonable and illusory to think that God cannot intervene directly? To doubt it, would mean to doubt the absolute love that our Creator has for us. Only a heart of stone would refuse to consider this mad hypothesis. In the order of grace, God intervenes differently depending on the times. Be it in times of aridity, of times of darkness or times of profusion. Given the urgency of our times, God intervenes today with a precipitation and density that humanity has, for sure, not yet lived since His advent. The effects of His mercy, with their signs, so subtle in the past, are today more than ever visible and identifiable. A priest convinced about Soufanieh, in Damascus, told me without exaggerating: "It is sheer provocation." Myrna, her friends and family were "provoked". The aftermath of this provocation is already spreading throughout the planet. His only goal is to allow the largest number to adhere to the only "Truth" that is Love, without which the human being cannot bloom and discover serenely the "reasons to live." What thanksgivings! Isn't this what faith is all about? Our young bridegrooms, are, since that day, living a fabulous adventure. They are witnesses and recipients of facts which, at the very least are astonishing. They will alternately live in anguish, then in serenity, then in doubt, then re-assured, then in pain, and finally in joy. A true "road that leads to faith" somewhat precipitated, but yet so easy to admit its necessity, for them and for us, if we welcome the opportunity. On November 25th, Myrna's mother having learned about Leila's recovery, reminded her daughter, with a little reproach in her voice, that she also was suffering very much from the spinal column and asked her to pray for her. In the family's presence, Myrna prayed while holding a wad of dry cotton in her hand. Again oil appeared on her hands and dampened the cotton. Myrna, applied the piece of cotton on her mother's back, and since then, the dorsal pains have vanished. The following day, Nicolas proposed that all the family observe a day of fasting, as a thanksgiving in order to express gratitude to God for this oil. The proposition was welcomed by all the family. During a trip to Sofia, Bulgaria, Nicolas had bought ten small replicas of an icon of the Virgin Mary and of Christ Child framed in cheap plastic ivory imitation. He gave them as gifts to seven homes of the family. This small reproduction of the icon, of negligible value, will be known in the years to come by millions of Christians throughout the world. On November 27th, while Myrna was going about her domestic tasks, her eyes notice the two icons placed side by side. The first one, in wood, is very beautiful, it replicates an icon of the XVth century. The second is one of the ten small reproductions bought in Sofia. Myrna notices that the latter is very shiny, she takes it in her hands and notices that droplets of oil are forming on the glass cover that protects the reproduction. She is astonished. Once the surprise effect is past, she runs towards her husband. Nicolas doesn't believe his eyes, he trembles for a moment, and almost faints. He then places the icon in a large silvery tray. Myrna and Nicolas kneel down, petrified, not knowing what to do. - "How can oil flow so abundantly out of a picture printed on plain paper?" they would ask themselves. Nicolas decides to bring over the remainder of his family. Myrna has remained alone, she is afraid. Nicolas agreed on the spot to his wife's request and opened the doors of their home. And the first visitors arrived. Almost fifteen years have gone by and thousands of visitors have since come in the modest house of Soufanieh to pray, among them many priests and several bishops. Having started on Saturday, November 27th, 1982, these visits have not stopped to this day. The small house of Soufanieh will even become a place of pilgrimage as subsequently requested by the Virgin Mary in a "message." The young couple have made the sacrifice of their private life in total freedom and total gratuity. Since the first days, they had placed a sign in the entrance of their home: "the inhabitants of this house refuse any offering and will not accept any donation whatsoever." I was a witness of this gratuity. To illustrate it, I propose to you a small anecdote. Father Elias Zahlaoui, at the time of my return to France on July 25th, 1987, had confided to me several letters to mail out from Paris in order to expedite their delivery, since mail between Syria and the West can take quite some time. The envelopes were not sealed and when the custom officer opened them for inspection, you should have seen his surprise when he took out from some of the envelopes small pieces of cotton in little nylon bags, also some money and cheques. To tell you that the Customs officer looked at me with interrogatory eyes would be a euphemism. I hastened to read to him one of the letters (I had never done so before - my mother had raised me well), indeed I could not affirm to the Custom officer that I was not aware of the contents of the envelopes, this would have aggravated my case significantly! I explained to him that some Frenchmen had offered money to get a small piece of cotton filled with oil from the icon of Soufanieh and that the money was being returned to them. Custom officers around the world are used to hear weird and wonderful stories, however, seeing the face of this customs-officer in Damascus listen to my explanations, I am sure that he will never forget me again. He opened one of the nylon bags, felt and smelled the cotton pad, then put back everything upside down in my bag. Did he benefit from a special grace! Anyhow, he made me a sign to go through (without looking at the remainder of the contents of my luggage) and I didn't have to face the offense of exporting illegal funds from Syria !!! The Nazzour family is not rich but is not poor. Nicolas has worked several years in Europe and accumulated some savings. Their house is moderately furnished. I would say that they have a status of life equal to the one of middle class Frenchmen. But, what surprised me mostly is the constant availability of this family. Would you accept visitors at any time of day in your house? Would you accept daily crowded prayer service in your home at 18:00? Would you accept, as a young married couple, to give your bed regularly to patients, to invalids, to spend the night on the sofa in the living room? Myrna and Nicolas accept such servitude with a smile. All the family agreed on the necessity to inform the Church authorities about these phenomena. Myrna belongs to the Greek-Melkite Catholic rite and Nicolas to the Antiochian Greek-Orthodox rite. In the Middle-East, the woman adheres automatically to the religion of her husband. Therefore the Greek-Orthodox Patriarchate was informed. His Grace, Msgr Boulos Pandeli, accompanied by two priests, arrived quickly at the house on Saturday, November 27th, 1982. They knelt with Myrna and prayed. Again oil appeared on Myrna's hands. The bishop expressed his emotion, since in his heart, he had asked for a sign showing the presence of the Virgin Mary! (14) When the prelate was about to leave and Myrna wanted to kiss his hands, he refused and told her: "No, my daughter, we should be blessed by you." Myrna exploded in tears while saying (...)"This is something that I don't deserve"(15). The young woman never veered from this natural simplicity. On Sunday, November 28th, 1982, things could have become tricky. The family received the visit of the State Security. The news of the phenomenon spread across Damascus like a trail of gunpowder. During these agitated times in Syria and because of the economic crisis, necessitating the setting up of a considerable police network, some thought, with reason that "this was not the time to attract attention!" When police officer Akram Abboud entered the house in order to make his investigation, Mrs. Chahade Hanoun was explaining to Myrna how to pray the rosary, several people having expressed the wish that it be recited before the icon. The security officer, after having completed his report took some photos. Later, in the afternoon, he came back accompanied by three colleagues and a physician, doctor Saliba Abdel Ahad. At first, they asked Myrna to wash her hands with soap in front of them and then to wipe her hands in the white paper handkerchiefs that they supplied her with. Having returned in the living room, the four agents surrounded the young woman while the physician stood before her. They asked her to pray, which she promptly did. Wasn't this the time for God to intervene? Myrna's Hands were covered with oil. Doctor Saliba rubbed the palm of Myrna hands, and for a long time observed the oozing of oil. One of the agents asked the family for permission to disassemble the icon, since there was a rumor that the icon was fueled with oil through small pipes. The agent examined carefully the wall, removed the small reproduction from its protective plastic setting. Accidentally, he tore the top right corner (see cover photo). Immediately oil oozed from the small picture. The agent quivered. He placed the image in its original setting, prayed a moment then they all left. From that day, the small house of Soufanieh will welcome members of the government and of the army, no longer for investigation, but for prayer. In the evening, around 19:00, Father Elias Zahlaoui, vicar of the Greek-Catholic parish of Our Lady of Damascus Church, arrived. Since the first days of the phenomenon, Father Zahlaoui and Joseph Malouli have become interested in the events. Rapidly, they constituted archival files in which they recorded the many events. These two priests didn't benefit from getting involved in these events... except for encountering problems and sometimes the disapproval of colleagues slightly prone to admit what is out of the usual norms of the faith. They are both endowed with a solid general culture, an excellent reputation and an iron will at sustaining good causes. Syrian intellectuals (physicians, lawyers, teachers...) became interested in the events at Soufanieh when they knew that Fathers Malouli and Zahlaoui were often there and seemed favorable. If in the future the Church authenticates these phenomenon, Heaven could not have chosen two better propagandists. Father Elias Zahlaoui is about sixty years of age, he is a well-known academic and an appreciated personality in Damascus. He is the vicar of Our Lady of Damascus parish (Greek-Catholic rite), he enjoys the confidence and esteem of his bishop. Father Zahlaoui is a nice and jovial man who expends himself completely in all the activities that he undertakes, he is a man of "good deeds" and he has several happy initiatives to his credit. On November 27th, 1982, he received three times, one after the other, the visit of several members of the parochial choir of which he is the founder and organizer; the latter invited him to visit Soufanieh, in order to get his opinion. The first two times he refused categorically, prejudiced since his childhood of supposedly supernatural events that had no value but to attract jeers and gibes. But because of the insistence of these young persons, all known to be serious and balanced people, he decided to go to Soufanieh, only "to please them" he told me. Around 19:00, the young group arrives at Soufanieh; with some difficulty they pave themselves a path through the crowd which was in front of the house. Father Elias Zahlaoui is brought to the young Nazzour couple's room. The first impression that he has noted in his diary was the dense prayer atmosphere in the house, that still remains the main characteristic of Soufanieh, beyond the many supernatural phenomena. Father Pierre Boz, journalist of Radio Notre-Dame in France and who was one of the first Western journalists to publicly speak on the events of Soufanieh, which he had visited in mid-July 1984, had noticed the depth of the piety in the house and reported in one of his broadcasts: "Rare are the churches where one encounters such faith." As soon as Father Zahlaoui entered the room, he asked to see the icon. When approaching it, he noticed something that looked like tears flowing slowly on the plastic covering the small icon. He asked for a small piece of cotton moistened with oil. Someone granted his request, he placed it in a small nylon bag. Similarly, several small pieces of cotton moistened with the oil were placed in small nylon bags and given to the young people who came with Father Zahlaoui. Father Zahlaoui joined the prayer group and a few minutes later noticed that the palm of his right hand was filled with oil, he ensured later that the nylon bag was not pierced. At the end of the hymn, Father Zahlaoui was taken to the lounge, he asked to converse with Myrna. Being a person of experience in human relations, he wanted to feel the sincerity and the honesty of the young woman. As a modern Churchman, he had no inclinations for these kinds of events, however, in his diary he notes the following impressions at the end of that conversation: "These people were sincere and awe-struck by what happened under their eyes." - Father, could you come in Myrna's room with Myrna to pray, because the oil has stopped oozing from the picture? At first, Father Zahlaoui is tempted to escape, but accepts to get close to the icon: he is terrorized; indeed this demand was strange in the very least. This reminds me that fifteen years ago, with some young friends, we had provoked the surprise and stupefaction of priests whom we merely asked for their prayers or their blessing, in order to obtain some cure, thus inspiring ourselves from the Charismatic Renewal with which we were familiar via the United States and Canada. Of course they were disappointed, but, seeing our determination and ingenuity, they could not refuse us. We obtained so many graces through them! In particular, one of them was the love of "the Priest" at times when we didn't understand the man who sometimes gave us the impression that he is not fully convinced of God's strength and of the graces linked to his ministry. - I feel that the Virgin has penetrated inside me. Father shivered when he heard the young woman's affirmation that he didn't quite understand. This is when he saw oil appear abundantly on Myrna's palms and fingers, forming bubbles, as if it were boiling. Drops built up all over again on the glass cover of the icon. Father Zahlaoui was dismayed, incapable of making a decision; he told me: "I felt in another world." - Pursue your observation Father Elias, but I don't need to recommend to you to be prudent. In the following days, the prayer program is more organized. The Acathist hymn and the rosary are the most frequent prayers at Soufanieh. However, time is allotted for personal or spontaneous prayers. In addition to the innumerable titles and supplications to the Virgin Mary in the Acathist prayers, some more have been added, the most frequent being: "Hail, Source of the Holy Oil" to which has also been added after the first healings: "... which brings about the healing". Father Elias Zahlaoui wanted the phenomenon observed by as many people as possible, and in particular by scientists, priests and nuns. The first religious community that accepted to go to Soufanieh was the "Sisters of Our-Lady of Perpetual Help"; all the community came, led by its superior general, Mother Monique Battikha. Father Joseph Malouli is a robust octogenarian who enjoys a good health which is envied by many young men. At the time of my interview, I had a hard time keeping up with his walking pace in the streets of Damascus. He is an uncommon prominent personality in Damascus. He had been a professor at the Lazarist College of Bab Touma in Damascus during twenty-seven years. He is very popular with the thousands of his former pupils for... his severity. A rock-solid man. "In one piece" says the popular language, often hiding a "soft" heart that only children know how to discover. I understood it even more after seeing the desire of his ancient expatriate pupils in Europe or in the United States, to visit him whenever they spend their vacations back home. I could have attended one of his masses, his way of celebrating the mass is quite revealing. Behind his rough character, hides a deep piety, a special devotion for the Virgin Mary and a genuine love for Mankind. What strikes me more, is the lucidity of his faith. It is the harmonious mixture of this dense popular faith that leaves no room for doubt mixed with a solid doctrinal Catholic knowledge. He was born in Maloula, Syria (origin of his name), one of the rare places in the world where one still speaks Aramaic, Christ's language. I have had the privilege to hear the "Lord's prayer" in the small monastery of this village, the way Our Lord taught it to His apostles. The inhabitants of Maloula were several times victims of horrible persecutions because of their Christian faith. At the time of my investigation in Damascus several people, including priests, have confirmed to me that Father Malouli was allergic to any "extraordinary phenomena" related to faith. There have been several of them in Damascus in the past forty years, and he had fought them then vigorously. - " I wear a cassock and I don't want to involve the Church in something that has no head nor tail. " Two weeks would pass before his first visit to Soufanieh. The first time, he insisted on visiting Soufanieh with his Superior General, Father Farah along with the Mother Superior of the Daughters of Charity. He affirms that he was not preoccupied to see the oil ooze from the icon, but rather, he wanted to meet Myrna. Through some theological questions he asked her, he was convinced that there was no hoax and that a supernatural event was possible. Since that day Father Malouli has decided to come and join the crowd in prayer. On Saturday, December 11th, 1982, Myrna and Nicolas are solicited by the Hanna family to pay a visit to Samir, one of theirs, impaired with a serious case of thrombosis. Samir was also asking for the Eucharist. Myrna and Nicolas notified Father Zahlaoui who agreed to go with them and to give Holy Communion to Samir. My sister Mary, you are thinking of retiring in a convent, and the Virgin Mary doesn't want you to do that. Myrna is astonished at this statement, since she had thought about it intensely for several days, but didn't talk about it to anyone. Besides, he called Myrna by her baptismal name: Mary. Interestingly, the Nazzour and Hanna families don't know each other. Only close relatives and friends know Myrna's baptismal name. A few days earlier, Samir had suffered an infarctus followed-up by cerebral haemorrhage that turned him into a haemephlegia. Physicians had affirmed that he could die at any moment. A friend had rushed to Soufanieh and brought back a wad of cotton moistened with oil. In spite of the opposition of Samir's parents, his friend introduced the cotton bowl in Samir's mouth, while opening his jaw by force using a spoon. Samir opened his eyes, reassured his family in tears, asked for Holy Communion, and asked for Myrna and Nicolas. A reproduction of the image of the Virgin Mary (different from the one of Soufanieh) suspended above Samir's bed oozed oil repeatedly for three weeks. Eight days after his recovery, on Sunday, December 19th, 1982, Samir Hanna went to Soufanieh. While getting out of the car that brought him at the entrance of the house, his jointly-held hands were suddenly covered with oil. He raised his hands in the air and spread his fingers, fearing to be accused of concealing a wad moistened with oil between his hands or fingers. He entered the house his hands in the air. To everyone's surprise, and to those who knew the gravity of his illness, he was alert and his face was beaming with joy. He prayed for a long time before the icon. At the end of the afternoon, he attended Father Zahlaoui's mass at his parochial Church, Our Lady of Damascus. On Thursday, December 16th, 1982, the inhabitants of the house of Soufanieh received the visit of doctor Jamil Marji who tried for an hour to prove with rational arguments that all these events were subjective, because no modern science can prove them. Oh Virgin! She is healed. She is taken to the lounge, emotionally shaken, incapable of expressing herself while moving her arms violently. Her son is close to her and explains that she had reached a paralysis of the right hand because of a calcification of the shoulder. Father Zahlaoui thinks that she has just been healed and, as a prudent man, requests medical certificates from her son as soon as possible. As a matter of fact, he had them with him: the day before, he had come with his mother Raquille Kilta to visit doctor Samir Roumani. The priest takes the certificate and doctor Jamil Marji who was near him, browses at it, and finally examines Mrs. Kilta. Let's render homage to the humility of this physician, who came into this house with the intention of reasoning these people thinking that they were in error and leaving the house with a new conviction that initially was not his. Half an hour later, the district's chief policeman and the commander in chief of the police of Damascus, general Walid Hammamieh arrived. Doctor Marji had informed them of the spontaneous recovery of which he had been a witness. These gentlemen who are responsible for maintaining civil order proposed their services to the household should the crowd, always on the increase, was to cause any trouble. Damascus was then living tense moments and one feared political manifestations. It is not useless to mention that policemen had strict orders to forbid any gatherings. This did not apply to Soufanieh. Besides, it is worth noting that through the years, several popular processions will take place around these events, some of which have gathered several thousands of people, without any significant incident. In the morning of December 17th, 1982, Father Zahlaoui has just arrived at the house of Soufanieh when someone introduces him to Mrs. Ghalya Armouche who affirms that she has been healed in an extraordinary way. - Stand up, your pains are gone ! - The poor woman is condemned to paralysis. - Will it be possible to make an artificial joint? - Here, no. But if these people are wealthy, she may be operated on in Europe. Anyway, ask her to come and see me tomorrow. - I think that she doesn't need your services anymore doctor, some other physician has healed her. - What are you saying Father? - The Virgin Mary has healed her, doctor! On Tuesday, December 28th, 1982, doctor Toutounji performed a new X-ray followed by a check-up. He observed that the calcification, since the previous X-ray, had increased in volume, therefore full recovery could not be confirmed. Besides, the physician made us observe that his patient didn't recover the total mobility of her hand. To this day, the pain hasn't come back and the calcification is static. Contrarily to other healings at Soufanieh, with complete disappearance of the illness or the infirmity, here, one notes the disappearance of the paralysis and pain, although the calcification is present. The number of Christians, whose faith in the past few years has been strengthened or rekindled by such events, is incalculable. The credulous people affirming that healings can only occur to simple people (euphemism for saying: simplistic) should review their apriorism; I can easily mention an impressive number of intellectuals, physicians, engineers and priests who have been shaken up by supernatural phenomena and who don't grow weary of "testifying" of their return to God, some with a deeper faith, some with living a radical change in lifestyle. A few months ago, a priest told me about his discrete journey to Medjugorje in Yugoslavia, where he had gone after listening to one of my audio-cassette documentaries. He came back transformed. He had gone there incognito - he had removed the cross on his jacket and had replaced his Roman collar with a shirt full of flower designs(!) - however, the day after his arrival, without being able to explain it, he exercised the sacrament of confession during five hours. He spent most of the night sobbing, kneeling in the Church of the small Croatian village. This priest, who, while narrating his experience, told me "I have just become converted", has just accepted important duties in our Church. The times of hyper-intellectualized faith, of bargain cheap theologies, of politicized religion, of institutionalized doubts, are over. God's people demand the Truth, and It alone. How many were they on Sunday, December 18th, 1982, in front of the house of Soufanieh, on the sidewalk, in the street, in the public garden? Five thousand? Ten thousand? We will never know. Nobody assessed this huge crowd of Christians and Muslims united in prayer. Suddenly, in a disciplined way, as is the custom with people in prayer, the crowd spontaneously opened a pathway for a sick person. A young soldier, Mohammed Al-Kahwaji, carries in his arms his bedridden father. "I approached the sick person and I told him: Pray, ask the Virgin Mary to heal you. Shortly after, he rose and stood up, initially with some difficulty, then he walked. His son Mohammed waited outside, praying for his father. And suddenly he sees his father before him, standing. He immediately kneels on the ground and shouts with joy: "Thank you, thank you, oh Virgin Mary." The people shouted: He is healed, he is healed, Hail Mary ... some applauded, others joyfully shouting." This could remind us of the joyful and prayerful happenings of the Charismatic Renewal. This same day, Fadi Bahem, a 25 year-old young man carrying in his arms his older brother is brought to Soufanieh. A witness speaks: "His legs were wobbly." Deep inside me, I asked the Lord to forgive me, because I did not know how this person would be healed. But when I saw him leave the house alone on his feet, I almost lost my mind. Was I hallucinating? No, he was walking by himself. The crowd seeing this young man walking slowly, exulted with joy and sang hymns to the glory of the Virgin Mary. On their way to their home in Mnin, a village (12 kilometres/8 miles) south of Damascus, his eldest brother, a military, when seeing his healed brother arriving, started shooting in the air in jubilation with his revolver. An eight year old child, Samer Sayegh, taken in the evening to the paediatric hospital in Damascus for a poliomyelitis, insistently asked his parents to be brought to Soufanieh. The child knew about these events from the family which received him because of lack of room at the hospital. His parents initially refused, fearing a hoax that would provoke a trauma to the child. But given the insistence of Samer, they gave in and took him to Soufanieh. Seconds after his arrival, the child started to walk. The following day, his personal physician, doctor Bernard Khozem confirmed the complete recovery. After leaving the doctor's office, Samer and his parents went to thank the Virgin Mary, praying joyously before the icon, in company of Myrna and Nicolas. But God had not finished on December 19th, 1982, to bestow upon His children, His Graces. One can think that these extraordinary healings had been announced to Myrna by the Virgin Mary, in the evening, at the time of an apparition: "I have given you more oil than you asked for. I will give you something stronger than oil." Voluntarily, we did not proceed with the chronological order of events, a thematic order appeared more appropriate. Indeed, during this period, the Soufanieh events succeeded each other at a rapid pace. These increasing exceptional events, are a positive argument in favor of the supernaturalness of Soufanieh. Would it be humanly possible to imagine them and to fulfill them? Aren't medicine, psychiatry and parapsychology, able to give us an example of extraordinary demonstrations under some particular psychic conditions? These are only school theories that can't be verified simply because they are not occurring on demand, in a controlled way by scientists. Twenty years ago, one spoke a lot of parapsychology, it is still a science in its infancy, although eminent researchers are dedicating themselves to it. On December 15th, 1982, about ten people are in prayer around the icon to the room of the young Nazzour couple. This room, since November 19th, 1982, has been called: "the Room of the Virgin." Around 23:00, Myrna was showing unusual signs of irritation. Her friend Ghada is sitting close to her and she holds her hands for a few minutes, when suddenly Myrna pulls them away, stands up, and hurriedly goes to the terrace of the house. -A beautiful lady was standing in front of me. I understood later that it was the Virgin Mary and I ran away scared. She went to her sister-in-law's apartment which is at the same level as the terrace. She wakes her up while shouting: "The Virgin, the Virgin." Her sister-in-law couldn't see anything. On December 18th, 1982, a few minutes before 23:30, Myrna is in prayer in "the room of the Virgin" in company of her mother and Father Zahlaoui. Three times, Myrna leans towards the priest who was kneeling next to her, the latter thinks that Myrna is sleepy and readies himself to leave. Suddenly Myrna rises and heads hurriedly towards the terrace, followed by her mother who alerts the household. Remember God, because God is with us. You know all things and yet you know nothing. Your knowledge is an incomplete knowledge. But the day will come when you will know all things the way God knows Me. Do good to those who do evil. And do not harm anyone. I have given you oil more than you have asked for, but I shall give you something much more powerful than oil. Repent and have faith, and remember Me in your joy. Announce My Son the Emmanuel. nor for money to distribute to the poor. but have no love, those are nothing. because those who go to church, sometimes, do not go there to pray. I am not asking you to build Me a church, but a shrine. Do not turn away anyone who asks for help. On Thursday, December 30th, 1982, Myrna and Nicolas went to the Antiochian Greek-Orthodox Patriarchate in Damascus, at the request of His Beatitude, Msgr Ignatius Hazim IV. 1) The obedience to the ecclesiastical leader imposes itself because it is an obedience to the Lord himself. As to us, we don't know the Lord and the Virgin except through what the Church teaches us, as She is in the last resort the depositary of this sacred trust. Now, the fact is that the Nazzour's ecclesiastical leader is His Beatitude, the Patriarch Ignatius Hazim IV. 2) The transfer of the Icon to the Church constitutes an official and a popular recognition of the phenomenon. It is a considerable plus, and this had become necessary, given the interrogations that are coming from everywhere and on all levels. Besides, this was to alleviate the family from the abnormal pressure the family was undergoing for over a month. 3) Another important reason that should not be disregarded: the ecumenical prayer. Soufanieh had taught people to pray at the feet of the Virgin Mary without any confessional differentiation whatsoever. Believers from all denominations, and even from all religions had gathered around the Virgin Mary. Even non-believers had come and were converted. Maybe the Virgin Mary wanted that a prayer of unity be made at the Orthodox Church which would also constitute an important plus. Perhaps the Virgin Mary would want all this in order to prepare the unity of hearts, and especially the one of Christians. At the time of this interview, the Patriarch announced that an official communique would be issued the following day. 1. Miracles are ordinary things for God, even if they do not appear so for us, because He is the Almighty, it is He who created the laws of nature, it is He who can override them whenever He decides. Without Him, can anything be blessed or any healing take place? 2. The home in which a vision out of the ordinary has occurred is a home of believers and of an Orthodox family proud of its faith and where nobody pretends to be a saint as many imagine. Mrs Marie (22) is gentle and humble and her husband is an active worshipper and both of them see in God an outstanding benefactor of the home, which has been founded thanks to His blessings and complacency. 3. It has happened for the See of Antiochus to witness several phenomenons which strengthen the faith. Sednaya and Maaloula(23) remain an active field of God's work. And all those phenomenons would appear at times and then disappear, thus becoming a usual pattern in the life of the Holy Church. 4. The acknowledgement of a miracle is a difficult and infinitely serious matter. To prove it, there are several objective criteria that can only be performed by medical specialists expressly designated by the Church in order to analyze the history of the illness so as to be able to prove, after a period of time, that the healing has indeed taken place and that it has been realized in a supernatural manner. One has to make sure that the healing is total, complete, and permanent, because the Lord does not accomplish things partially. If all these criteria are not realized, the Church cannot recognize the existence of a miracle. But in all cases, it acknowledges the favour of God and its misericord towards us, His creatures. 5. This is why, we address ourselves to the faithful requesting them to continue offering their thanksgiving to the Lord of heaven and earth and to stop any exaggeration in their words or any excitement in their behavior, so that it does not turn against God, the Church or the blessed family Akhrass and Nazzour. 6. We also declare that the Holy Icon will be transferred from the house in which it is presently located to the Church of the Holy Cross, where a suitable place for praising the Lord and His Mother the Holy Virgin is to be found. We request the worshippers not to impose on Mrs Marie (Nazzour) and to her husband what cannot be supported. May God maintain His grace upon you, strengthen you and bestow His blessings on our faithful people. And the Mother of God withdrew while smiling gently. The ceremony of the transfer of the icon started at 9:00 on Sunday, January 9th, 1983. The glass of the icon that morning is covered with many small oil droplets. Minutes before the transfer, Myrna and Nicolas are standing in the middle of the patio of their home with their face full of tears, holding the precious Icon in front of them so that the many people present can kiss it as a sign of blessing. Father Joseph Zahlaoui (without any relationship to Father Elias Zahlaoui) has been designated by the Orthodox Patriarchate to carry the icon. He is going to carry it in the beautiful Orthodox way, at arm's length above his head. I saw several times the video which was filmed at the time on this memorable day, and one can read the emotion on people's faces. The ceremony is simple, but the images of the video footage reflect a profound piety such as is rarely seen. Thousands of people from all confessions are present along the 500 meters/yards which separate the house of Soufanieh from the Church of the Holy Cross. At the head of the procession, Father Malouli is conducting the prayer of the rosary. Father Joseph Zahlaoui carries the icon, he has at his side Father Elias Zahlaoui. They are surrounded by two choirs, a Greek-Catholic and a Greek-Orthodox one. Behind them, one can see Myrna and Nicolas, eyes red from tears. When they entered the street that leads to the Church of the Holy Cross, Father Joseph Malouli turned towards Father Elias Zahlaoui and told him: "It is a day that reminds us of the times of Constantinople." On Monday, February 21st, 1983, two Greek-Orthodox priests, Fathers Kfoury and Hosni, arrived at the Nazzour home without any warning, and gave them back the icon in a cheap, black plastic bag. A brutal altercation between the members of the Nazzour family and the two priests followed. As soon as this event became known, the majority of Christian communities in Damascus were shocked. Reprobation was on all lips. I investigated on this very unhappy matter but I could not get any comments whatsoever about it from anyone; obviously everyone wanted to forget about the incident and especially not to pass on any judgment. - Virgin Mary, enlighten us so that we don't make a mistake that can jeopardize your program. - Abouna (father), Myrna went up on the terrace. I have come back here. who are devoid of humility. Forgiveness is the best thing. Forbear much less than the Father has forborne. - I believe that "Joseph" is me. And he told them about his personal prayer, that we mentioned previously, while presenting some identification confirming his name, because, in Damascus, rare are the people who knew it. He is known by everyone in Syria as "Abouna Malouli." "Blessed are thou amongst women." And I was only able to tell Him that "I am the servant of the Lord." But My God has said it. The Church that Jesus adopted is One Church, because Jesus is One. The Church is the kingdom of Heaven on earth. He who has divided it has sinned. And he who has rejoiced from its division has also sinned. And when it grew, it became divided. He who divided it has no love in him. I tell you: "Pray, pray, and pray again!" How beautiful are My children when they kneel down, imploring. Do not be divided as the great ones are. Pray for the inhabitants of earth and Heaven. At the end the transmission of the "message" Myrna and everyone present recite the Creed. She ends the prayer by adding: "Glory to God in the highest of Heavens and peace on earth to men of good will." She remains for another short while in ecstasy and "comes back to earth" radiant. Father Malouli assails her with several questions. We learn that oil was oozing when the Cross of a Rosary that the Virgin Mary was holding, touched Myrna's hands. The sign of the Cross that Myrna made in the air with her index was to make the sign of the Cross on the forehead of the Virgin Mary, as She had asked her to do. The end of the Creed had thus been worded by the Virgin Mary. A little fact not lacking in humour: since the first apparition, Father Zahlaoui had requested the Nazzour family not to mention these events to anyone, fearing new opposition. Even Father Malouli who was constantly repeating: "An important link is missing to the phenomenon... there should be a message" won't be informed about the apparitions until February 21st, 1983. The secret was well kept by the people around. Mid-October 1983, Father Malouli proposed that the month of November, the first anniversary month of the apparitions, be called: "Month of the oozing of oil." The proposition is accepted with joy. A few days later, a new set of events start, that will become the beginning of the conversion of many. Thousands of photos of the small icon had been distributed since several months. On October 20th, 1983, miss Salwa Naassan phones Soufanieh to advise that a photo of the icon she had placed in her home is oozing oil. This same day, Samir Zaher, an engineer, while praying at Soufanieh, notices droplets of oil on the reproduction he holds in his hands. The following day, the same thing happens to the reproductions of Mrs. Ghannage and Miss Jarallah. Day after day, the manifestation of identical cases will increase in an impressive way: -October 22nd, 1983: oil oozes from 15 reproductions. -November 2nd, 1983: oil oozes from 15 reproductions. -November 3rd, 1983: oil oozes from 9 reproductions. -November 4th, 1983: oil oozes from 18 reproductions. -November 5th, 1983: oil oozes from 10 reproductions. -November 6th, 1983: oil oozes from 43 reproductions. The phenomenon has not stopped since and has spread throughout the whole world. This new dimension of the phenomenon of "the oil of Soufanieh" started shortly after Father Malouli's proposal that the month of November become the month of the Holy Oil. Is this coincidence or cause to effect? We will never know. However, one can comprehend these manifestations when we analyze the message of the apparition of December 18th, 1982: "I shall visit homes more often, because those who go to Church, sometimes do not go there to pray." Wouldn't these hundreds of reproductions of the small icon, which are oozing oil, express in a delicate way the wish of the Virgin Mary "to visit" her children? Following these manifestations, many testimonies of conversions have been recorded, many of them from tepid believers who resumed praying and praying with the family in particular. 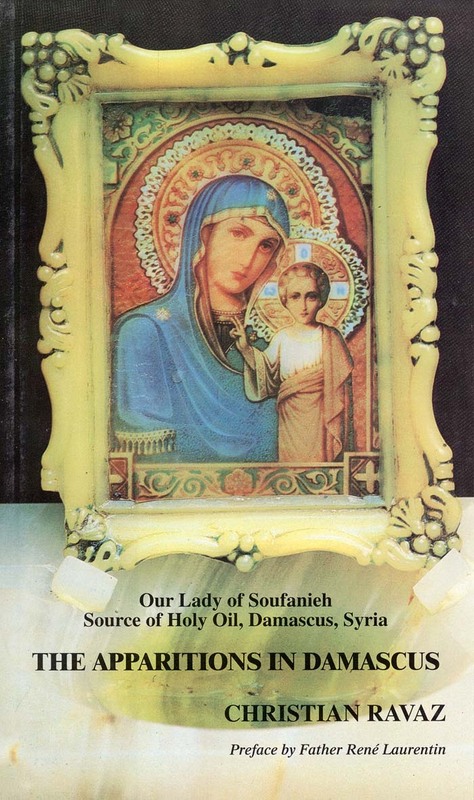 Several oil samples from Soufanieh have been analyzed: from the Icon and from Myrna's hands. The results of these analyses made by specialists have revealed the presence of 100% pure olive oil. However, pure olive oil is nearly impossible to trace in its natural form. Basically, all olive oils include, in addition to the basic components, a minimal quantity of external ingredients. For example in Provence (France), pressed olives are placed in wicker baskets and under the pressure of millstones gather in various degrees, foreign elements to the oil with which they are mixed. When oil oozes from Myrna's body, it evaporates slowly without leaving any trace on the epidermis. This oil doesn't stain. We made the following experiment: on two silk samples, we poured on the first sample a few drops of oil from Soufanieh, on the second some drops of commercial oil. After eight days, the silk sample with commercial oil is stained, while the sample with oil of Soufanieh is not stained at all and is dry! The icon is placed in a small tabernacle in marble and glass (built by Myrna's father) whose door is padlocked; its unique key is kept by Father Malouli who is very thrifty about the precious oil. A joke goes around on this matter; "Father Malouli would rather give his soul than give oil." Nicolas told me that one day, he placed a small phial full of oil in his safe, of which he alone knows the combination. A few days later he opened the safe, the phial was empty and dry. He later said, "No one but me could have opened the safe!" A nun from the community of the Daughters of Charity from Damascus wished to send a piece of cotton moistened with oil to her sister's husband inflicted with an incurable illness in 1983. The nun asks Father Malouli for cotton. Upon returning to her community she shares the piece of cotton with two of her sister nuns. Each of them helps herself; as for her, she is left with a small piece of cotton, all dry. "It does not matter, I believe in it" she would say in her written testimony, and the nun sends the small dry cotton piece to her relative explaining in the letter the events at Soufanieh. Three weeks later, she receives a letter from her sister informing her that the small piece of cotton was "bathing" in oil! Here is another anecdote related to the oil. In 1985, a lady visits the house of Soufanieh. She enters the house while Myrna is washing the floor of the patio. The visitor cries out: "What do I see! The hands on which flows the oil of the Virgin Mary are dabbling in dirty water! " Myrna replies: "The Virgin Mary, do you think She had a maid?" I now offer you to read one of the many testimonies written about this phenomenon. I chose this one because it emanates from priests in Bethlehem and Beit-Sahour, two localities in the Holy Land that are very dear to the heart of all Christians. In the name of the Father and the Son and the Holy Ghost, the Unique God, Amen. O Lord, how great are Your deeds all of which You accomplished with wisdom. To our respectable sister Myrna, may the Lord strengthen her. We address to you, your family and your relatives a sincere salute full of love and springing with faith. From Bethlehem, town of the sublime manger and from Bethsahour where the Angels heralded the birth of the Saviour, we implore the Lord Almighty to grant you health and strength as well as the power to display the marvels of the All Saint Mother of God, so that She becomes the guide of souls thirsting for faith. We are also joyful to bring to your knowledge that on December 6th, 1986, we were invited to the house of Mr. Mitri Tanass Abu-Aita, in Bethlehem, to marvel at the transcending power of the Creator, and to see the Holy Oil ooze from the image of the All Pure Virgin, "SOURCE OF HOLY OIL" that Mr. Georges Tanass Abou-Aita had brought with him, during his visit to Soufanieh, in Damascus. The oil has kept on oozing from the image for one whole month. Hundreds of priests and worshippers, belonging to the various Christian communities of Bethlehem, Beit-Sahour, Beit Jala, Jerusalem, Ramallah and Nazareth have come to visit and be blessed by the Image in question. They have prayed and sung to glorify the Creator who bestows His miracles from Heaven and to honor the Holy and Pure Virgin, Mother of Light. On Monday, October 24th, 1983, on two occasions, around 14:00 and 19:00, Myrna went into ecstasy and she did not remember anything particular. On Monday, October 31st, at 14:45, oil appears on Myrna's hands, she feels pains in her hands, feet, side and forehead. Then, small swellings of the flesh start appearing in the middle of her palms, similar to that of calluses. At 19:04, oil oozes again, additional pains and the same sensation in her hands that she had felt on the previous Friday, appear on her feet. On Friday, November 4th, 1983, a slightly blooded wound measuring 1.5 centimeter (.75 inches) appears under her left breast. On Friday, November 25th, 1983, at 16:15, the wound on her side bleeds all over again. Around 17:00, blood oozes from the palms of her hand and her feet, at the same places where she had felt these pains on October 28th. Several physicians are called to observe the wounds, namely doctors Jamil Marji, Joseph Nasrallah, Elie Barsa, Jean Siage, Joseph Massamiri, Georges Mounayer, Elie Farah. Doctor Massamiri has taken some blood samples for analysis. He will confirm that the blood he analyzed was the one of Myrna. The wounds will disappear around 22:00 without leaving any scars. Small reddish stains similar to haematomas will persist under the epidermis during eight days. "That is all I want. I have not come to separate. Your married life will remain as it is." Then she had a magnificent serene smile and said: "Would you like to come to Me?" I replied positively. Matching gestures with words, She said: "Your willingness to come to Me is enough..." I tried to reach Her, but was not able to. In the evening of November 26th, 1983, for the first anniversary of the manifestations, oil appeared on an icon and on Myrna's hands. Nicolas asks Father Malouli the authorization to sing "Happy birthday to you" to the Virgin. From the very start of singing the "canzonet" in Arabic, two tears on the eyes of the Virgin Mary appear on an enlargement of the Icon brought moments earlier by Manual Khawam. The same event will occur twice more on the following day, on November 27th, before several groups of visitors in prayer having come to celebrate the anniversary. On Holy Thursday, April 19th, 1984, at 15:30, the stigmata have reappeared on Myrna's body and are bleeding. The wound on her side measures ten centimeters (four inches). At 15:30, Myrna enters ecstasy until 16:45. Father Malouli is close to her, repeatedly telling her: - "Myrna, Myrna, ask the Virgin Mary what She wants from us, so that we execute it." The young woman doesn't answer and will say later that she didn't hear the request of the priest. During this ecstasy, she didn't see the Virgin Mary. She saw a high and beautiful mountain on the top of which there was a luminous "ball" lighting it. She strongly desired to climb the mountain. The video tape filmed during the ecstasy, shows the young woman attempting to raise her head. After the ecstasy, Myrna could not move her arm nor her left leg for several minutes; this was not observed during the previous ecstasies. In the week that precedes the Feast of the Ascension in 1984 (Thursday, May 31st ), Myrna is anguished and worried, sometimes she wants to rip her clothes apart. - I wish to see JESUS. - Why not, but it is necessary to pay the price. - What does that mean: to pay the price? Around 16:00, Myrna goes into her room and lies down on her bed. Oil appears on her face, neck and hands. Oil oozes also from her eyes, causing her terrible pains. Two people hold her hands, fearing that she hurt herself, so much the pain is intolerable. Myrna screams. At 16:48, she re-enters ecstasy again until 16:58. I am Truth, Freedom and Peace. My Peace, I give you. and think little of yourself. And this is achieved through Me. Live your life, contented and independent. The pains you have incurred for Me shall not break you. I am capable of rewarding you. Your hardships will not be prolonged, and your pains will not last. Pray with adoration, because Eternal life is worth these sufferings. and Good above all things. without You my table is empty. Only then will I come to say: Here I am, because you have invited Me. This prayer taught by Christ to Myrna is now known by thousands of people, and is prayed daily at Soufanieh. Several people spontaneously recite it during the day, whenever they feel the need for it; some affirm that this prayer grants them a subtle spiritual comfort. Indeed, because of the troubling supplications of Mrs. Haifa, a blind Muslim woman, Myrna forgot, permanently so it seems, the remainder of the message. Since July 1984, the Apostolic Nuncio in Syria, His Eminence, Msgr Nicolas Rotunno, had requested from Father Zahlaoui a detailed report about the events of Soufanieh. On Sunday, November 4th, 1984, the Apostolic Nuncio met Myrna, in the communal house of the Little Sisters of Foucauld; sister Pia and Miss Salwa were also present at that meeting. On December 5th, 1984, Father Zahlaoui visited the Apostolic Nuncio and gave him a small reproduction of the Icon. The Prelate enclosed it in a transparent plastic frame and installed it on the night table in his bedroom. It is worthy to note this delicate and devout gesture from a highly ranked ecclesiastic personality, which does not bind the future decision of the Church in any way. The Apostolic Nuncio in Syria asked to be informed of all future events, while respecting scrupulously all opinions, favorable or not. - If the devil believes by this means to remove me away from prayer, well he is grossly mistaken, I have never prayed as much as in this last while! On Monday, November 26th, 1984, at 22:40, the patio is crowded with people in prayer, Myrna withdraws to her room. Her parents, the in-laws, Father Malouli, Father Zahlaoui, the Orthodox deacon and lawyer Spiridon Jabbour as well as four physicians join her in her room. Prayer in the crowded patio of the house won't stop during three days and three nights. At 22:50 oil appears on Myrna's face and hands and she enters ecstasy. Nabil Chkeir(32), video cameraman in Damascus, tapes the ecstasy. It is worthy to note that starting with the transfer of the icon to the Church of the Holy Cross, nearly all the events of Soufanieh have been taped by Nabil, constituting an exceptional historic documentary of priceless value(33). Nabil is built like a rugby player, yet his friends told me that at times, during taping, his legs would shake so much that he would hand over his equipment to his young assistant Tony Wakim and retire nimbly. At 23:20, Myrna comes out of ecstasy, her eyes wide open, not disturbed whatsoever by the powerful spotlights of the video-camera, she turns her head to the right, then to the left, looks to the right, to the left, up and down with her dilated pupils. She doesn't see any more. Everyone in the room observes her silently. The deacon Spiridon sings the hymn of the Feast of the Transfiguration and remains in the house during these three days that will be for him three days of profound prayers. Witnesses say that he was "elsewhere, lost within God." - Lord, it is too much! She has just realized that she is blind. She will affirm that she was not in darkness, but bathing in constant light, without seeing any object or person, whether her eyes are opened or closed. However she felt the presence of sacred objects: crucifix, holy pictures... Several times, someone would present her with various objects, she would only react in presence of sacred objects. The following day, her husband hung on the cupboard an enlargement of the icon, she will see a powerful light emanate from it and that nothing will be able to conceal and will even be able to follow it with her eyes when it is being moved around. At 23:55, she asks for some water and affirms that she won't drink nor eat any more for three days in order to celebrate the second anniversary of the events as she had announced. At midnight, like the previous year, all the crowd sings "happy birthday to you" and eats (except Myrna) from a large cake baked for this occasion. The following morning, Father Malouli gives Myrna the Holy Communion. At this precise moment, a very pleasant sweet fragrance fills the room. In the evening, an ophthalmologist, Elie Farah, examines Myrna's eyes. He doesn't notice anything that can explain the blindness. On Wednesday, Father Zahlaoui gives the Holy Eucharist to Myrna. Again, the beautiful fragrance fills the house. The priest is surprised, he presents her once more with the Consecrated Bread, according to the Byzantine rite, and the young woman takes it. Later, in the morning, Father Zahlaoui questions Myrna. She then tells him that seconds before, she had just received Communion. Several people who were present affirm that they saw the young woman swallowing. Father Malouli thinks that she enjoyed a "mystical communion" an event frequent in Christian mystical history. Myrna pointed out that she swallowed the first host contrarily to the second one which she chewed as she always does. At 11:43, she vomits a small quantity of a very fragrant oil, the odour of which resembles that of the "myrrhons", one of the liturgical oils used in the ritual of the Byzantine Churches. The vomiting of the fragrant oil will occur again at 15:00, at 21:10 and 23:15. In between, Myrna sleeps while all people present are praying. - Mother, I see you! Khabab is a city of 10,000 inhabitants, at 60 kilometres (40 miles) south of Damascus; it is the Episcopal Seat of the bishop of Hauran. Father Zahlaoui had decided to take a three day retreat there with Myrna and Nicolas. The hospitality of the establishment, its serenity, the piety of the priests and the nuns who stay there made it an ideal place for a retreat and to update the archival file with the past events. In the evening of the first day of their stay, on Monday, February 25th, 1985, at the end of the meal, everyone rises to recite the "Deo gratias" prayer, and Myrna's hands are filled with oil at the beginning of the prayer. The young woman is embarrassed, her natural modesty prevents her to show her hands, but the bishop, priests and nuns have noticed her embarrassment and the oil covering her hands. Immediately, they went to the chapel. Again, during prayer, oil appeared again even more abundantly on the hands of the young woman. On February 27th, 1985, Myrna is invited to visit the sick mother of Father Mouaffaq El-Id, who is very shaken by her brother's death. Myrna leads part of a prayer session which she ends with the prayer that Christ taught her during the ecstasy on the Feast of the Ascension in 1984. At the end of their gathering, her hands and a replica of the icon of Soufanieh that she was holding are again covered with oil. In the following minutes, Father Mouaffaq El-Id, led the Compline at the Church in Bassir. The many faithful present that evening, noticed his emotion which he could hardly control. At the end the Compline, the priest told the faithful about what had happened an hour before at his mother's bedside. On the 28th, in the evening, Father Mouaffaq El-Id and His Eminence, Archbishop Boulos Bourkhoche are invited to observe the tears of oil dripping from an enlargement of the icon of Soufanieh, offered by Nazih Ra'd. That evening more than a thousand people came to meditate and pray before this picture, among them: generals Adib Jbarah and George Bdeoui. The phenomenon lasted until the following evening. On Friday, March 1st, 1984, the icon has been transferred to the cathedral solemnly. The cathedral is crammed with people. Msgr Boulos Bourkhoche improvises a small sermon to the glory of the Blessed Virgin: " (...) Last year, on the same day, during the Acathist, people had solicited rain for the harvest and our prayers were granted quickly. Here She is today, pouring two tears: a tear of joy, seeing Her children kneeling in fervent prayer, asking, requesting, repenting and being grateful; and a second tear, deploring our unfaithfulness at not answering God's call and our failure to pursue Christian perfection." On February 11th, 1987, Msgr Boulos Bourkhoche and Father Zahlaoui visited the Minister of Defence, general Moustapha Tlass. They spent a lengthy period of time talking about the events at Soufanieh. The general is a Muslim, who on several occasions at Soufanieh, has witnessed the oozing of oil bringing with him members of the government and various Syrian personalities. - My children assemble; My heart is wounded. Do not allow My heart to break because of your divisions. My daughter, I shall give you a gift for your hardships. Everyone close to Soufanieh concluded that this "gift from Heaven" is Myrna's newborn daughter, born on October 15th, 1986, and baptized as Myriam. In the beginning of the month of May, Myrna and Nicolas went to Lebanon, where they have since made frequent visits. During each of these trips, oil has oozed very often. Would this not be a way for Heaven to manifest Its compassion towards a people enduring a horrible war? It is impossible to detail in this book all the various and numerous events that occured in Lebanon. We will only mention three personalities who were moved strongly: Msgr Georges Iskandar, a Maronite bishop from Zahlé in the Bekaa Valley, the well-known singer Tony Hanna and Mr. Rafic Kallab, director of the Credit Agricole. On Sunday, August 4th, 1985, Myrna entered into ecstasy during the Mass at the Syrian Orthodox cathedral of Hassake in the Djezireh (900 kilometres/540 miles at the northeast of Damascus). The intention of the Mass was for Church Unity and was concelebrated by two bishops and several priests. - My children; happy feast. It is always a feast for Me when I see you all gathered together. Your prayer is My feast. Your faith is My feast. The union of your hearts is My feast. During this ecstasy, the Virgin Mary answered Father Malouli's question regarding the appropriate attitude to take towards the ecclesiastical authorities on whether they had to produce and deliver them a detailed account of the events: "You will deliver the messages to anyone who shows interest" was Her reply. On Saturday, September 7th, 1985, the vigil of the feast of the Nativity, at 19:18 Myrna enters her room so that she can lie down on the bed. At 19:22, oil oozes out of her eyes provoking some sharp pains. Her mother attempts to hold her hands, fearing that her daughter, under the intense pain, may injure herself. At 19:33, after taking a deep breath, she leans her head to the left, her lips quiver, she enters into ecstasy. I created Her, so that She could create Me. and the Spouse of the Spirit is born. because your salvation is fulfilled. Myrna came out of the ecstasy with her eyesight veiled; she will recover her eyesight at 20:15, as soon as Father Malouli ends reading the message to the people in attendance. Since the beginning of the afternoon, on Tuesday, November 26th, 1985, a massive crowd swarmed the house of Soufanieh and its surroundings. There were a few curious onlookers: according to witnesses, there was a crowd engaged in devout prayer, during which well known hymns and spontaneous prayers were alternated. Around 17:00, Myrna's hands, neck, face and for the first time, her feet are covered with oil. Shortly after, her eyes ooze oil. She then enters into ecstasy. For the duration of the ecstasy, a Lebanese physician, doctor Abillama, performed several tests on Myrna's body, one of them provoking the harsh disapproval of those in attendance, he introduced a knife under her right index. Myrna did not react at all, but when she came out of the ecstasy, she felt severe pain. As per Myrna's request, only priests were allowed to remain in her room during ecstasy, even her family withdrew. One comical anecdote: Tony Wakim, the assistant cameraman hid in a dark corner of the room with his equipment. At the right time, he wanted to film but his camera did not function. After several futile attempts, he sheepishly left the room to inform his boss, Nabil, of his misfortune. When he later tried to film, everything functioned normally! My daughter, Do you wish to be crucified or glorified (36)? Do you prefer to be glorified by the creature or the Creator? 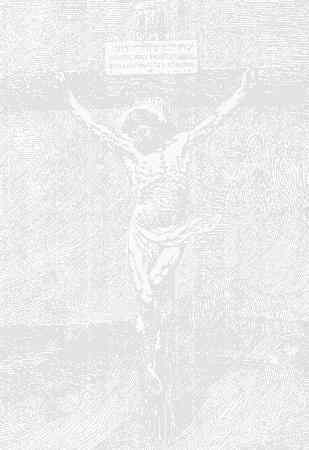 Christ: This is realized through Crucifixion. the eyes of the Creator move away from you. I want you to apply yourself to praying and to humble yourself. God increases him in strength and in greatness. and (I want you) to await My arrival. I shall make him participate in My glory. And there is no salvation for the soul except through the Cross. enough to repay the debts of the sinners. from which every soul may drink. do not fear, this will be for My glorification. and remain in God's peace. As in previous visions, when Myrna sees the "divine light" or Christ and comes out of ecstasy, she does not regain her normal eyesight. (37) It will normalize only after dictating the dialogue and the message to the priests in attendance. During one year, from the end of the ecstasy of November 26th, 1985 until November 26th , 1986, NOTHING will happen at Soufanieh; not a single drop of oil, not a single vision, not a single apparition, nor a single message. - If My absence prolongs itself and that light slips out for you, don't fear, it will be for My glorification. Since November 27th, 1982, prayer has not stopped one day at Soufanieh, especially during this arid period. Will it some day come to an end at this place, in the heart of Islam? On November 26th, 1986, at dawn, the small icon oozed oil again. Nicolas, seeing the phenomenon anew, remained dumbstruck for several minutes before rushing to the telephone to warn Fathers Zahlaoui and Malouli. The latter hastened to wake up Jean-Claude Darrigaud, a priest and journalist at Antenna 2 (television-station in France) who had come to Damascus specifically for reporting purposes. In a few hours, the dried marble cupula(39) placed under the icon to collect the oil is filled again after a period of twelve months. Within hours, the news spread in Damascus and its vicinities (the Arabic 'telephone' is always efficient! ), thousands of faithful rush to Soufanieh. - Myrna, do you sense something ? Around 18:45, the young woman joins the people in prayer in the patio. At 18:50, she falls back completely without any refraining effort. (41) Oil oozes abundantly from her face, eyes, neck and hands. She is taken to her bed. She then sobs several times while saying: "My God, My God." At 19:00 she crosses her fingers on her chest, her lower jaw trembling, she moves her fingers, leans her head slightly both ways while spreading her hands. and My peace in it. I give My heart to (all of) you so that I may obtain your heart(s). because you look towards Me. I shall paint My image in him. but has ransomed My blood. on one of the sinners. because through My wounds you will gain eternity. and I want you to accomplish your mission. Because I am with them at all times. The annals of Soufanieh are going to increase further again due to a number of impressing events. Among others, an icon exuded oil while the Syrian general Ibrahim Bitar was holding it in his hands. Many personalities have witnessed the oozing of oil, including Mrs. Mouna Mouacher, wife of the Jordanian minister of economy. The events at Soufanieh are so numerous and diverse, that it is necessary to make some choices. Here is an interesting event: the "transport" of the icon on March 24th, 1987, the vigil of the Annunciation. Around 23:00, Father Zahlaoui gets a phone call from Nicolas. The latter is shaken, he sputters unintelligible explanations and asks the priest to come immediately. Father Zahlaoui rushes to the house and sees the entire household alarmed and incapable of expressing themselves. - The Virgin at Soufanieh gathers us every evening, praying for peace and Christian Unity. - Oh Virgin, open your doors, Awad is Your favourite child. During three days, the family welcomed condolences. Several people have been invited to the "meal of mercy" as is customary in the Middle East. In the afternoon, Fathers Nasri Salmos and Elias Jarjour were in prayer before the icon. Without any interference from the outside, the priests saw the small icon revolving around itself, falling and sinking in the marble cupula filled with oil. Several people well acquainted with Soufanieh interpreted this event as a positive "sign" from Heaven in favor of Awad. This conclusion is maybe hasty, but nevertheless, the event was worth noting. - Remove it, remove it. Father Zahlaoui hurries and supports her from under her shoulders and, looking at the mirror in front of them, sees blood suddenly spurting from the forehead of the young woman. She unfolds her arms and drops them on the ground looking at the sky while blood appears on her hands. The two priests while placing her on the bed, notice that blood appeared also on her feet. In Arabic, a Christian invoking God's Mother rarely says "Virgin Mary" but rather "oh Virgin." -Oh Jesus.... For your sufferings, Lord. Oh Jesus, oh Jesus, have mercy on me, your sinful maid. - Oh Lord.... Ah Jesus, I beg you, I cannot take it any more, Lord. I am in an immense weakness. I cannot see my eyes any more. Oh Jesus, I implore you Lord... I cannot endure as much as you, Lord. I ask Nicolas for details about the side wound, he answers me:" As large as the last time." Myrna's feet are one on top of the other. Several times we tried to spread them apart but she sets them back in the same position, as Christ on the Cross, in the shape of an "X", the right foot on top of the left foot. - Oh Jesus, have mercy on me, oh Jesus. - I asked the physicians who were present for their testimony. Myrna speaks again. Father Nasri Salmo presents her with a piece of cotton moistened with water. - Lord, Lord why did you abandon me?.. I don't feel my hands any more. Oh Lord, oh my Jesus. Sustain my weak faith... Lord, Lord. Oh my Mother, tell your Son, oh my Mother... Alleviate my suffering, Lord. She raises her head and drops it again. It is 16:17. Pulse rate: 100. I speak with Fathers Salmo and Ain. - Oh my Mother, those are your children. You are their Mother. I ask her: "Do you see something?" - Light, light.... I am conscious of everything, but I suffer very much. I tell her: "If you did not feel it this way, all your sufferings would not have any sense." - But pray for me, Father, so that He alleviates my suffering. I answer her: "Myrna, say to Our Lord: Thy will be done, right?" It is 16:27. Blood oozes from her forehead again. - Oh my Mother.... my head.... Ah! my head. I implore you, remove it from me. That Your will be done, Lord. Oh Jesus, I implore you, have mercy on your sinful maid. It is 16:28, a small scream. - They hit Him very hard. Akh, my Mother, I implore you. All my sufferings are equivalent to the suffering of his toe. It is 16:37. Pulse rate: 130. Myrna makes the gesture of removing thorns from her forehead and temples, with two fingers. - Remove them, remove them. Blood oozes from her forehead again. The gesture of removing the thorns continues for two minutes. - Pray for me, remove them from me. He loves us. Myrna's father is shaken by his daughter's sufferings, he tells her: "He loves you dearly, my child." - He... He loves us. We... we don't love Him. We pretend to love each other. We cannot hide from Him. He knows who Loves Him. We are not sincere with each other. He is patient. If He wanted to unify us by His will alone, He would have done it a long time ago, but He wants 'it' from us (through us). During this time, I hear Father Malouli preaching in the patio on unity. It is 16:40. Again, Myrna makes the gesture of removing the thorns. She rubs her left temple. I propose that we sing a song, she agrees. Georges Bdeoui starts with one of songs for Holy Thursday: "Today is suspended to a plank of wood, the One who suspended the earth on the water. " At 16:46, she screams and places her hand on her left side. - The Light.... But I suffer a lot. At 16:51, she leans her head to her right and faints. I try to speak to her repeatedly, but in vain. At 16:54, Doctor Mesmar examines the wound of the left hand. He then cleans the wound and blood flows again in small quantity. Myrna's lashes are agitated due a slight tremor. After obtaining permission from the priests, Doctor Mesmar cleans the wound of the forehead. It is a deep wound measuring three millimetres (.12 inches). Blood flows abundantly again to the extent of filling the horizontal wrinkle of the forehead, spilling onto a few hairs then flowing on the white linen that is placed under Myrna's head. The physician cleans the wounds on her feet and blood oozes a little bit. At 17:20, she is agitated, she crosses her hands and places them on her chest. She places her hands on her head. She opens slightly her eyes and I ask her: "have you seen something? - I saw what he endured out of love for us. - No, but I am exhausted. -All His Passion.... I am very tired ... This sight, it will be impossible for me to forget it.... I will tell you later. - From a distance, I saw Him going down a stairway, carrying a Cross.... dressed in red, a crown on the forehead... climbed a mountain.... The Virgin with three others... There were three women.... They hit him a lot.... After his flogging.... Yes.... He is flogged before being given the Cross... Someone carried the Cross with Him.... A soldier....The spectacle of the Cross.... With a very high voice, heard a sentence as if it is not pronounced by him: "Father, forgive them, because they don't know what they are doing".... Three women on the ground, as if kneeling. I did not hear a sound, it was a silent spectacle. Another question from Georges Bdeoui: "After the crucifixion did someone approach Jesus?" - They gave Him to drink. They transfixed Him with a spear. He didn't drink. The last thing, it was His scream: 'Father, forgive them'... maybe directed to us, by this sentence, I don't know. When He died, it rained.... Silent spectacle. Only one man and three women brought Him down from the Cross. The world had become dark ....A few women.... a soldier.... a man and three women. - How did you know they were women? - They were dressed in black... The two crosses, I didn't see them. The fourth person was with the women. Myrna wants to rise from the bed, I invite everyone present to leave the room so that she can take a rest and I was the first to leave. Father Zahlaoui came back to the room after making several phone calls, he noticed that Myrna sang slowly while pausing a few seconds between verses. She will later say than she was singing with her brother-in-law, Awad, who had passed away on March 30th, 1987. On Saturday, April 18th, 1987, around 21:40, oil oozes abundantly from the icon. Father Zahlaoui phones several physicians. At 23:10, Myrna in the middle of a group in prayer, vacillates. Her hands and her face are streaming with oil. Two men carry her to her bed. She moans deeply and presses her eyes with her two fingers. Oil oozes from her face. Father Malouli invites everyone present to pray silently. -Oh my Mother, my eyes! She presses her eyes again. Nicolas and her father want to hold her hands, I invite them to leave her alone. - " My God, oh my Saviour, oh my Mother, oh Virgin, Jesus have mercy of your sinful maid (...) Lord I am not able to endure it any more, I am not able to endure it any more...."
She rubs her eyes, presses them while moaning in pain. She begins the "Lord's Prayer" and everyone joins her. Myrna goes into ecstasy when we pronounce: "deliver us from evil" - it is 23:16. Everyone notices that she has her left hand on her chest, her fingers bent; the right hand is on the pillow, the fingers positioned similarly to the Byzantine priest's fingers when he blesses. Her father next to me, prays the rosary. Father Malouli invites everyone to pray. Nicolas asks that we pray in our heart so that we do not wake up little Myriam sleeping in her cradle in a corner of the room. At 23:24, doctor Jamil Marji examines her reflexes: none. Pulse rate: 100. The physician opens her fingers which return to their position immediately, he notices that the wound of the forehead is already healed. At 23:30, Myrna swallows her saliva, her lashes blink a little, she opens and closes her mouth, she raises her eyebrows, shakes her head, then moves her fingers. The ecstasy is over. She is My Mother from whom I was born. He who honors Her, honors Me. He who denies Her, denies Me. And he who asks something from Her, obtains because She is My Mother. The ecstasy took place around 17:30. Myrna was alone. Coming out of ecstasy, she broke in tears and refused to see anyone, including the priests. Everyone in Soufanieh was worried: - Was this message of extreme gravity? Did she forget the message? Nabil, the cameraman, added: "Our Lord must have rubbed her ears! " That evening, everyone left without being given the message as in previous ecstasies. On November 20th, 1987, the vigil of Mary's Presentation to the Temple, the icon oozes a lot of oil. A French pilgrim group, directed by Pierre Sorin of "Association Route Notre-Dame" in France, witnessed the event. They will come back to Soufanieh on November 26th, where they had the pleasure of being introduced to Father Rene Laurentin also on his first visit from France. so that our hearts will unite. By doing so, you will save suffering souls. so that your heart not be blinded by your love of Me. because in so doing you will obtain glory. Do not worry about the difficulties and the pains that will afflict you. otherwise you will lose My heart. and tell them without fear to work for unity. but for the fruit of his heart. My peace in your heart will be a blessing for you and for all those who have cooperated with you. the quiet girl with a heart full of love and sympathy? I have noticed that you cannot endure anything for Me. I shall give you a chance to choose. and know that bearing the Cross is unavoidable. * Myrna's real name is Mary. This lesson given to our sister Myrna by Our Lord is not solely addressed to her, it concerns EVERYONE. It is the essential characteristic of this type of events: we are all concerned. Thanks to spontaneous confidences or to answers from questions asked to people who showed interest in these events; a constant spiritual progression is observed enabling me to put forth the evidence of similar reactions with almost all my interlocutors. Firstly it is the questioning of some extraordinary phenomena which are above and beyond our reasoning and for which no specialist can advance a rational hypothesis. Then, it is the evidence of Myrna's happy evolution, of her spouse, Nicolas, and of almost all who approach this phenomenon with an open mind. These manifestations could have turned sour a thousand times, as Father Malouli reminded me while relating me some of the anecdotes. The aftermath of the exceptional events of Soufanieh is constantly confronted with human weakness. All its protagonists are roughly tested, 'evil' is everywhere, sometimes hidden behind a generous act, a beautiful gesture or a nice word. Then it is the knowledge followed by the impregnation of the message. It is simple, and within reach to everyone. A priest, friend of mine, endowed with a vast culture convinced me of this. He added mischievously: "This message is comprehensible to everyone and is essential for our faith, except for theologians, it is too simple." I thought that this was not necessary, as our readers will be able to meditate on all the messages and to personally understand their real wealth. Behind these limpid sentences, there is our conversion, the ultimate goal of the visible demonstrations of God in our world; the same as the transparent water of the torrent which enriches itself in the mountains with a multitude of vital elements for the prosperous cultures of the plains that it irrigates. This message given at Soufanieh, one needs to read it over and over again. GOD WILL HAVE US ALL. " Yes, all of us, if we want to. ACKNOWLEDGEMENTS Firstly, thanks are due to the author of the book: Mr. Christian Ravaz, allowing us to translate his book from the original French edition of 1988. Secondly, the following people (who wanted to remain anonymous) are to be wholeheartedly thanked for their inestimable gratuitous help at translating and preparing this book in record time for Myrna's visit to North America during the summer of 1997: CT, JF, LD, MM, GB, JB, GT and GS. May the Lord and His Blessed Mother reward and bless them for their efforts. 1. 1 Nicolas had bought 10 small reproductions (6x8 cm - 2.4x3.2 inches) of Our Lady of Kazan from the Alexander Nevsky Orthodox Church, in Sofia. 2. 2. Chrétiens Magazine; 9, rue du Docteur-Potain, 75019 Paris, France. 3. 3. Beware, he is not always enthused. Other apparitions have disappointed him. In this very case, he did not hesitate. 4. 4.Father René Laurentin is a French Mariologist in the Vatican. 5. 5.From Myrna's personal notes, translated by Father Joseph Malouli. Every time we will refer to Myrna's notes, to facilitate to the reader, we will indicate: MPN. 16. 16. From Father Zahlaoui's personal notes. 17. 17. Mrs Halaby's testimonial, recorded on audio-cassette, during the interview with the author. "Apparitions à Damas". Ed. Mambré, France. 18. 18. Doctor Antoine Mansour's testimonial given during an interview recorded on audio-cassette by the author. "Apparitions à Damas". Ed. Mambré, France. 19. 19. Myrna's testimonial during an interview with the author, recorded on audio-cassette: "Apparitions à Damas", Ed. Mambré, France. 22. 22. Myrna's baptismal name. 24. 24. The icon has then been placed in the niche at the entrance of the house, just to the right of the doorstep. 25. 25. Medical report from Doctor Salam, dated April 30th,1983. 26. 26. The phrase that the Virgin Mary confided us in this message, and asking us to repeat always, I have been able to see its "fruits" recently, a few days after my return to France, on August 15th, 1987, during a surprise dialogue in a provincial sanctuary. A 25-year old confided me her anguish since her childhood, and that she had decided to consult a fortune teller or a visionary. Needless to say that her life was not a success! I tried several times to reach within her, and she exploded in tears. We confided all her difficulties to the Blessed Mother, and I taught her this "phrase" of the Virgin Mary. Eight months later, she called me and informed me of her radical departure from her old habits, she finally was able to live her life. "Thanks to Mary", I would tell her. A friend of mine, a monk in Avignon, France, is preparing her consecration to God through Mary. 28. 28. Father Joseph Malouli's personal notes. 29. 29. Also on the audio-cassette interview: "Apparitions à Damas", Editions Mambré, France. 30. 30. Father Zahlaoui's personal notes. 32. 32. Nabil died in April 1997. 33. 33. The video-documentary realized by Father Jean-Claude Darrigaud (Editions N.S. ; distributed by mail by Editions Mambré: "Miracles à Damas") has essentially been produced thanks to Nabil's tapes. 34. 34. All the events in this chapter have been documented on official letterhead of the bishopric of Hauran, dated May 5th,1986. 35. 35. Refer to the video documentary by father Jean-Claude Darrigaud, "Miracles à Damas". 36. 36. Father Malouli has asked Myrna about the meaning that she gives to the word "glorified", she replied without thinking: "It means: Glory to the Father and the Son..!" 37. 37. Her vision was veiled by a screen. 38. 38. An Arab head dress. 39. 39. Built by Myrna's father, a marble craftsman by trade. 40. 40. Myrna's father was imprisoned under false accusations. He was freed from jail on Christmas 1986, three months exactly after his arrest. 41. 41. The same way as it seems, during prayers of the Charismatic Renewal movement, that are called "slain in the Spirit". 42. 42. You can live this magnificent day while watching the video filmed by Father Jean-Claude Darrigaud: "Miracle à Damas". Ed. N.S. 43. 43. The first newspaper to publish an article about Soufanieh is "Notre-Dame-des-Temps-Nouveaux (France)" (March 1985). This newspaper was founded by Abbot Jean-Marie Onfroy. The Swiss magazine "Stella Maris" published an article on Soufanieh written by Msgr Georges Hafoury in October 1986. 44. 44. Myrna bore the stigmata in 1983, 1984, 1987, 1990., 2001 and 2004. 45. 45. The messages are meditated and commented in detail in Father Elias Zahlaoui's book: "Remember God". See bibliography section for more details.